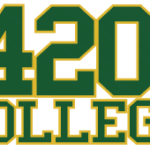 With the help of medical marijuana schools like 420 College, and courses they offer, you will be able to prepare yourself to enter one of the fastest growing industries in the US. However, under the California State law, sale is illegal, but non-profit distribution may be allowed to some extent. Medical marijuana is legal in 15 states including Washington DC in US including California and a large number of people today are resorting to this substance as a means of recovering from their medical conditions. Although marijuana dispensaries, delivery services and clubs are in business in California, the sale of this substance as well as any other type of cannabis is strictly illegal under the federal law. 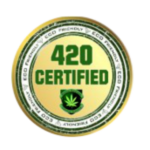 One of the best ways to go about opening a California medical marijuana dispensary is to enroll in some good courses that are put together by professionals at 420 College. Even if you are not aware of the current state laws and how you can open your own dispensary, the courses you take up will take you through everything step by step. Physicians believe that marijuana contains healing properties and can help people suffering from debilitating medical conditions such as cancer, persistent muscle spasms, glaucoma, seizures, AIDS, etc. A good dispensary is one which maintains its integrity and records and it does not take much time for law enforcers to close an open dispensary if it is found that things are not being conducted according to code. There are many online courses that you can take up if you are unwilling to join a school. Opening a California medical marijuana dispensary means that you have done your homework and know what it takes to open the dispensary according to the laws of your state.